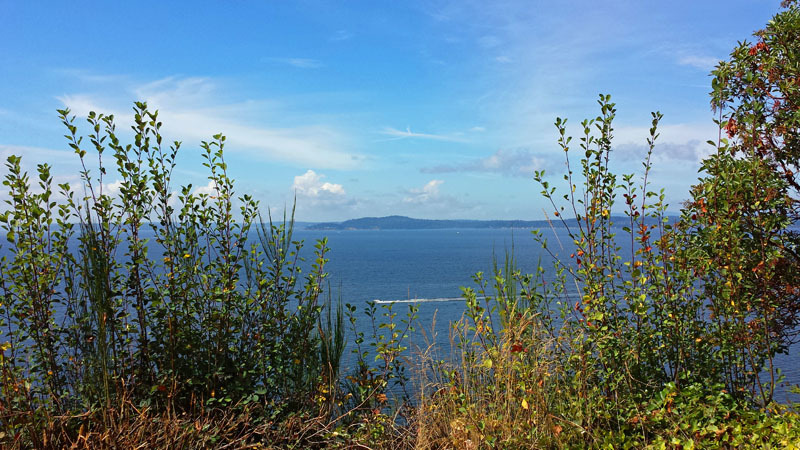 Since I was a kid I had only seen the majestic views of Puget Sound in Washington on television and online. 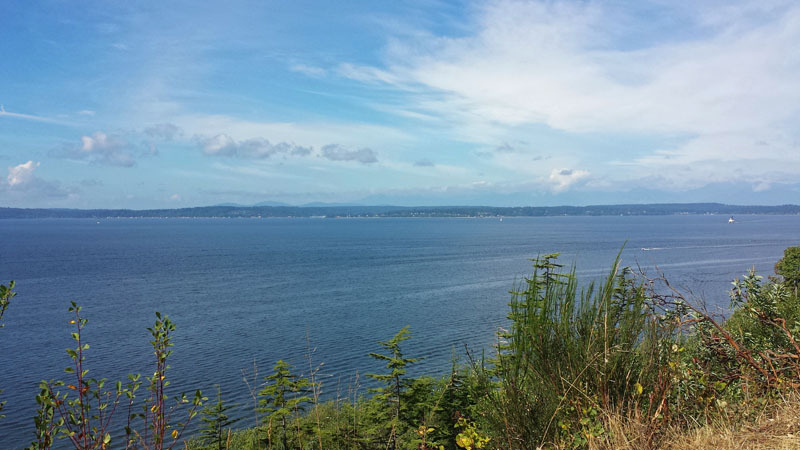 In fact I had never been to the Pacific Northwest. 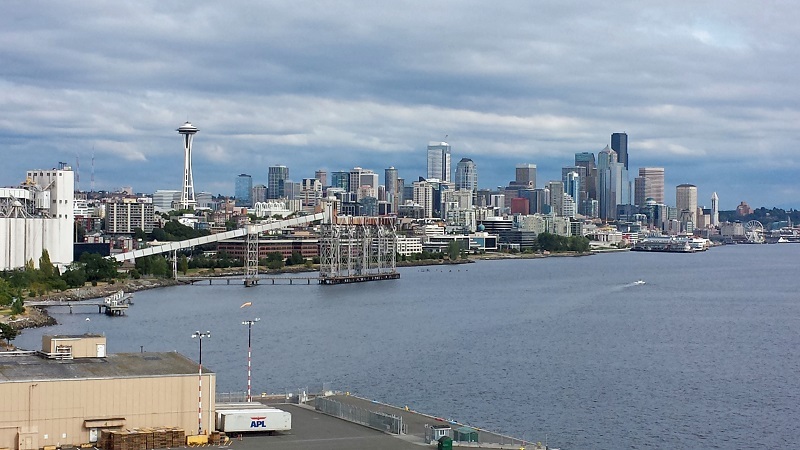 Both of those things changed during a recent summer when my now wife and I spent a little bit of time in Seattle. 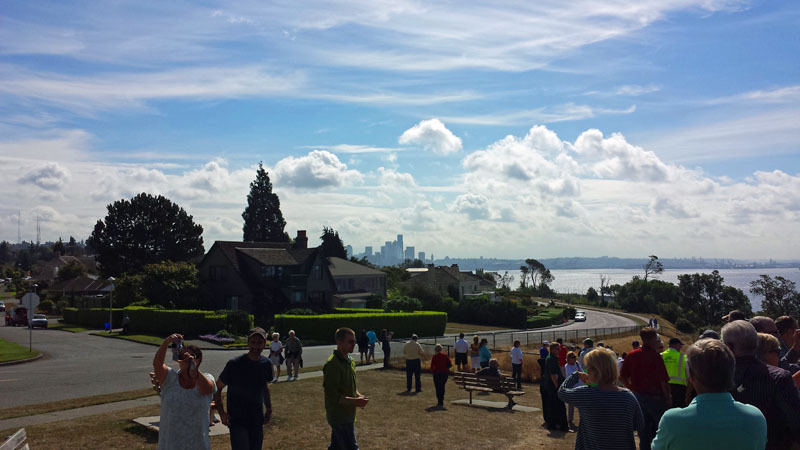 While there we took a bus tour and one of the stops was Magnolia Park in the well-kept Northwest Seattle neighborhood of Magnolia. 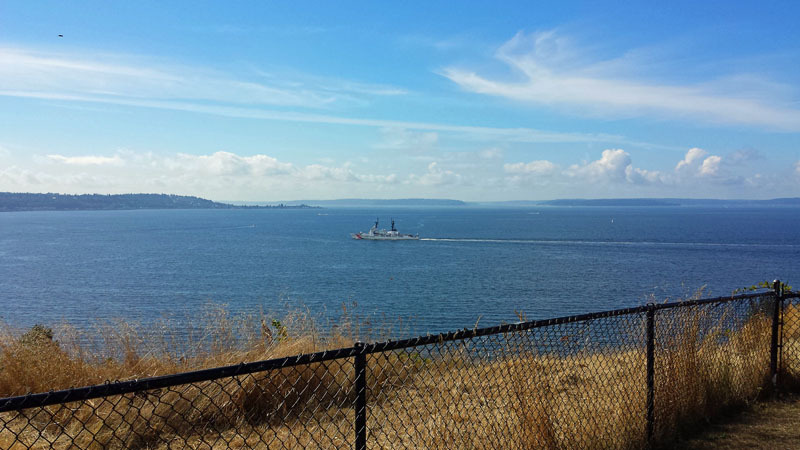 We got off the bus within a small narrow section of the park in a residential area and what awaited us were panoramic views of, you guessed it, Puget Sound. 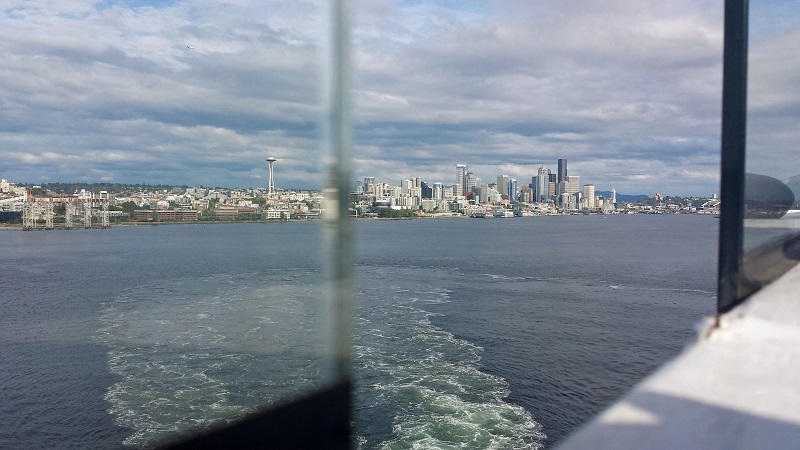 I just stared out into the open water and at Bainbridge Island and behind that sat opposite. 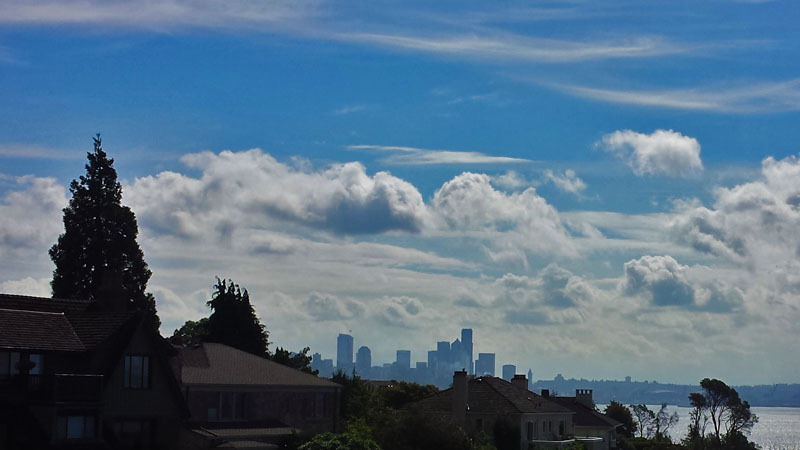 Looking to the south sat views of the Seattle skyline off in the distance. 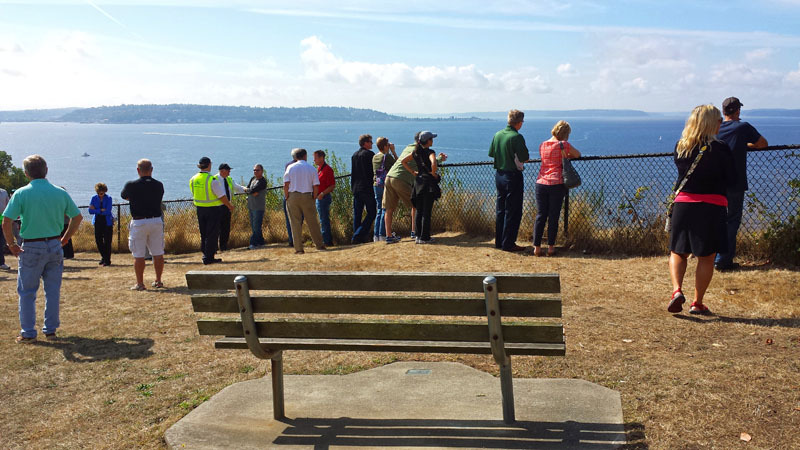 There were plenty of park benches to go around and just take it all in. I will let the pictures do the rest of the talking. 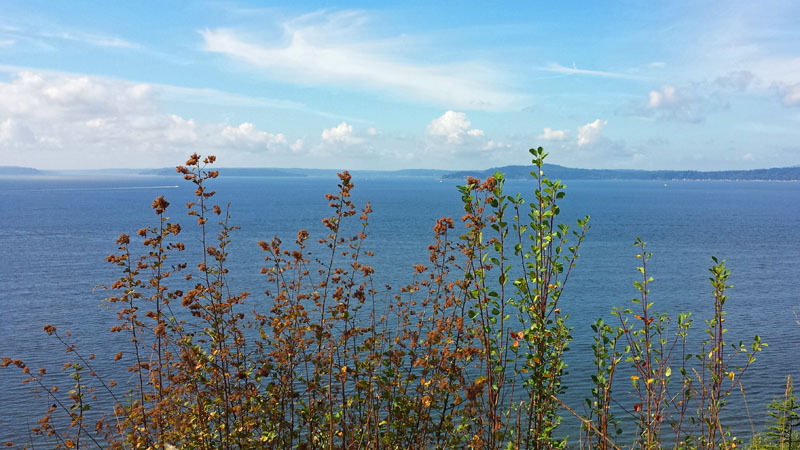 It was an exciting stop being able to take in Puget Sound and experience Pacific Northwest beauty in-person. 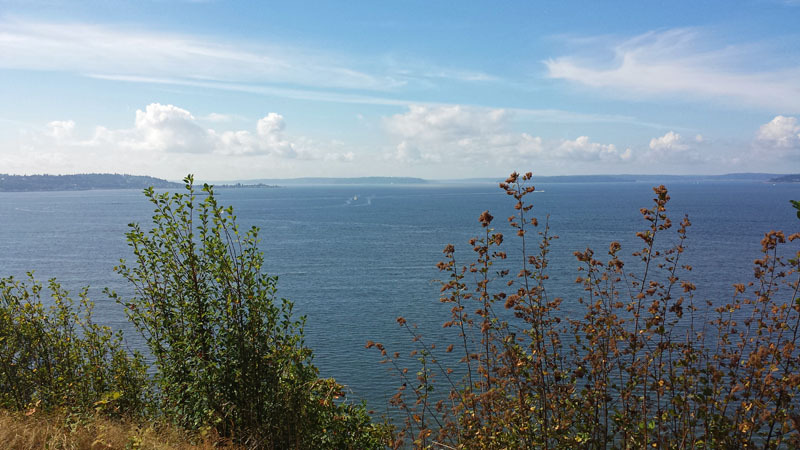 What other spots around Seattle would you recommend checking out Puget Sound from? 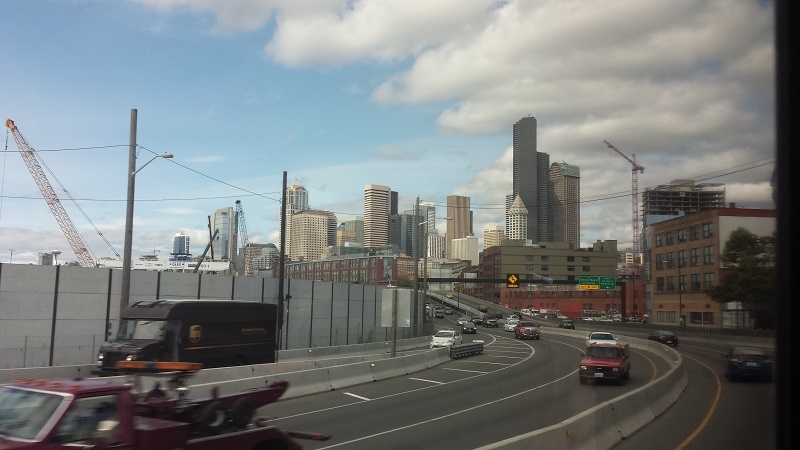 Seattle: Cruising to a Skyline. 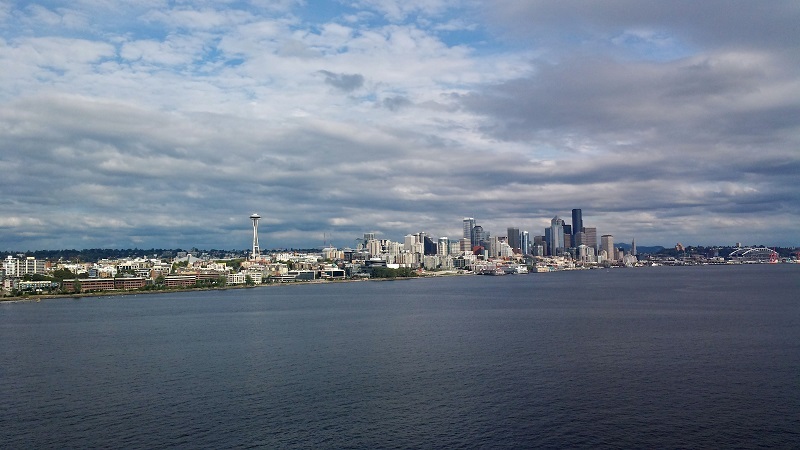 Leaving on a cruise ship from the Port of Seattle will give you ample chances to capture the beautiful King City skyline. 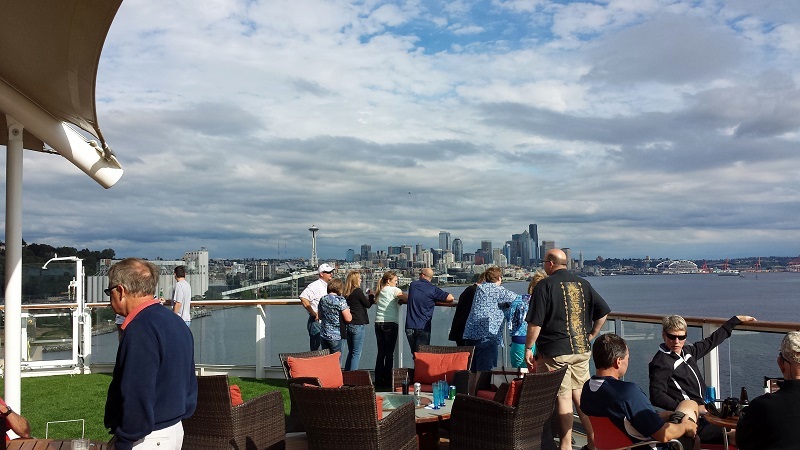 That was certainly the case on a summer evening setting sail for Alaska on a Celebrity Cruise. Some city shots returning back into port a week later early in the morning. 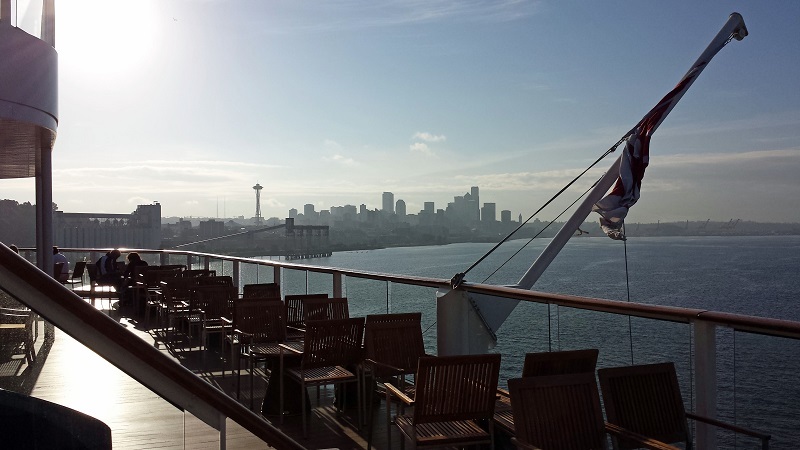 What city skylines or other sights on land have you seen while on a cruise ship? 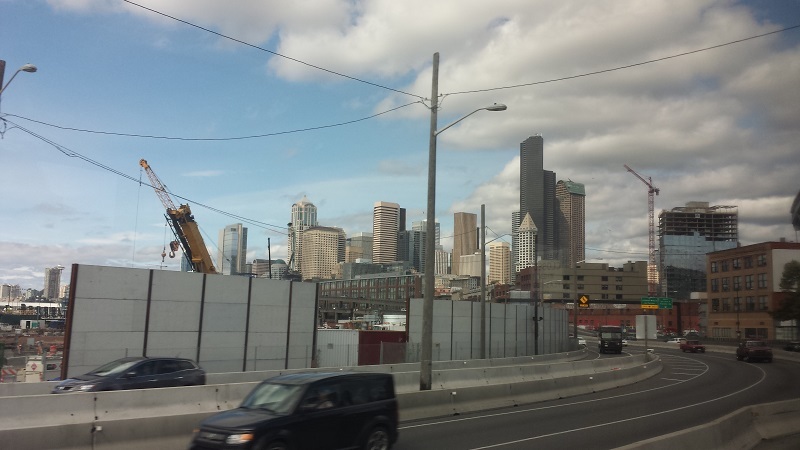 Photo(s) of the Week: Approaching Your Skyline Seattle. 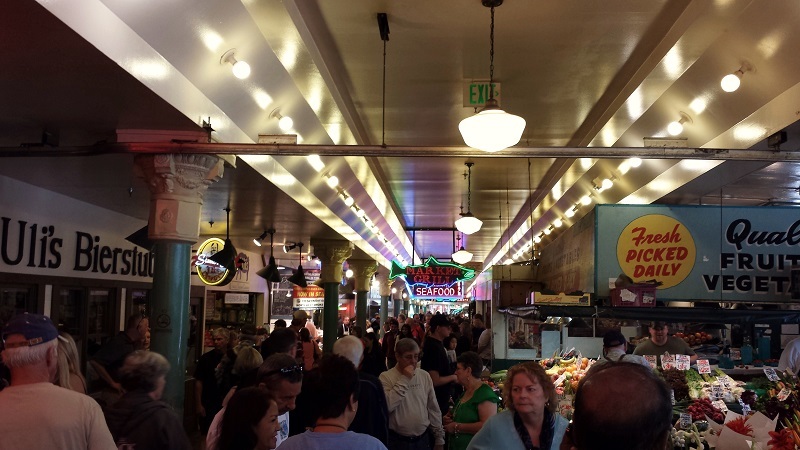 Walking the Market on Pike Street in Seattle. 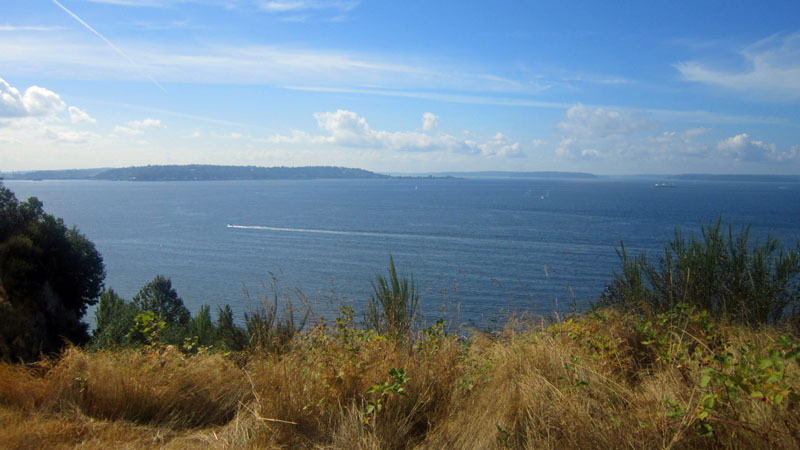 When people think Seattle they think Pacific Northwest, coffee, seafood, the Space Needle and Mount Lanier. 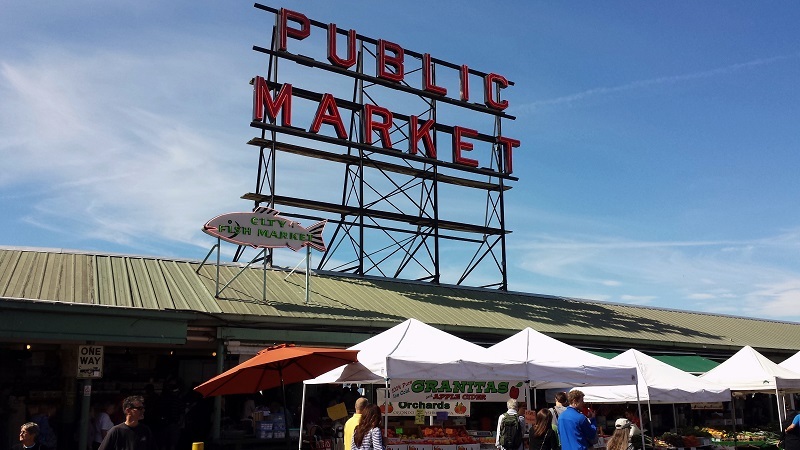 One of the first things that came to mind also when I found out I’d be spending a little time there was Pike Place Market. 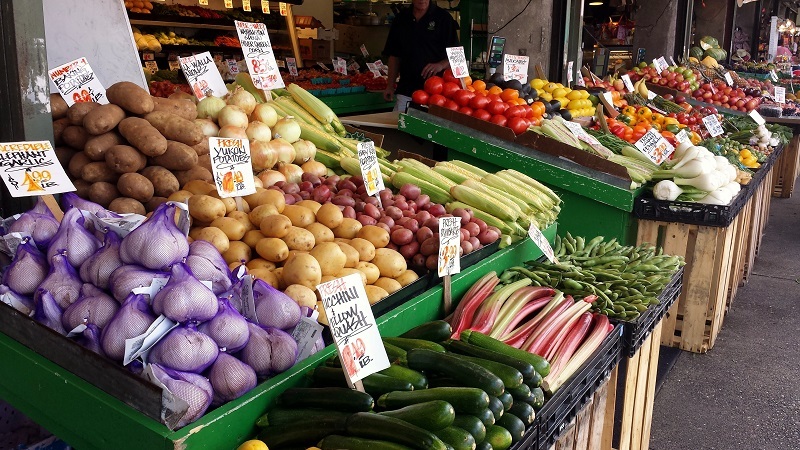 Right along Elliott Bay and Pike Street, in the heart of the city, is a foodie and shopping paradise. It’s one of the oldest public farmers’ markets in the United States. You’ll find many, many people capturing the signage and clock. It’s almost lunch time. One thing that will definitely catch the eye right away are the flowers. 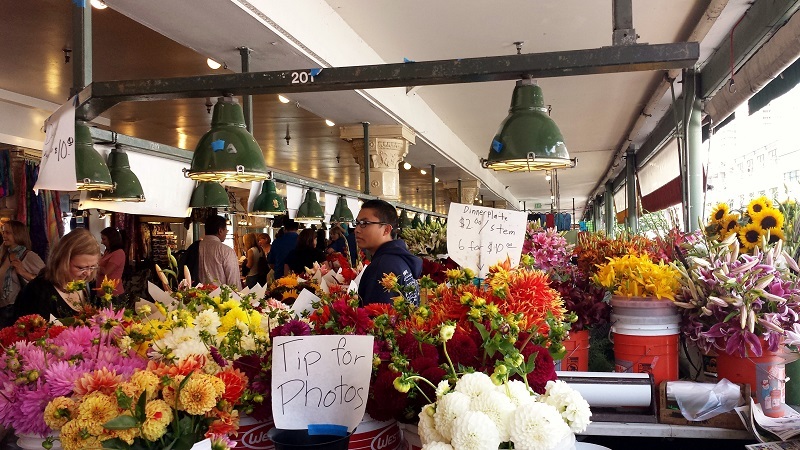 The assortment of boutiques, arrangements and flower colors at very reasonable prices will make the tourist wish they lived locally. 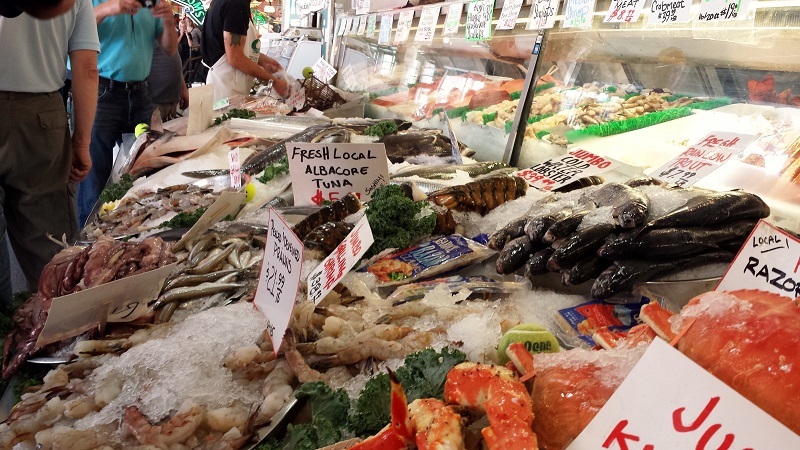 Being along the water in the Pacific Northwest you’ll definitely find a lot of every kind of seafood imaginable. The size of some of the fish you can buy wow! Ditto on the produce. One stand after another of colorful vegetables in perfect condition. 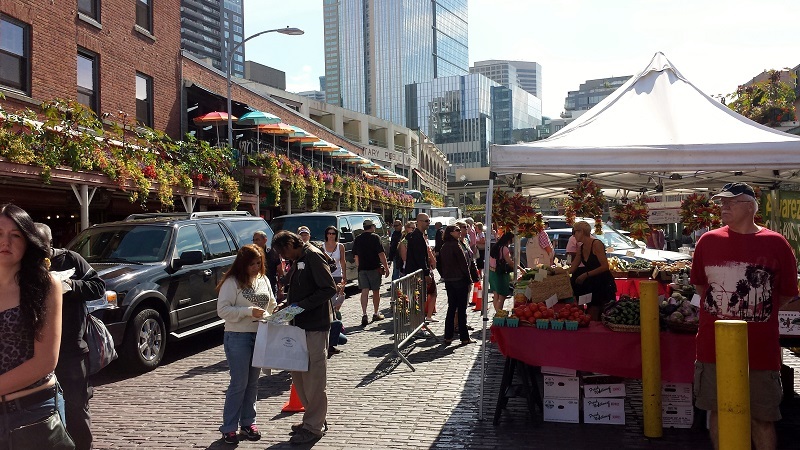 Walking outside of the main market area along Pike Street you’ll find shops, restaurants, stands and people lining the streets. 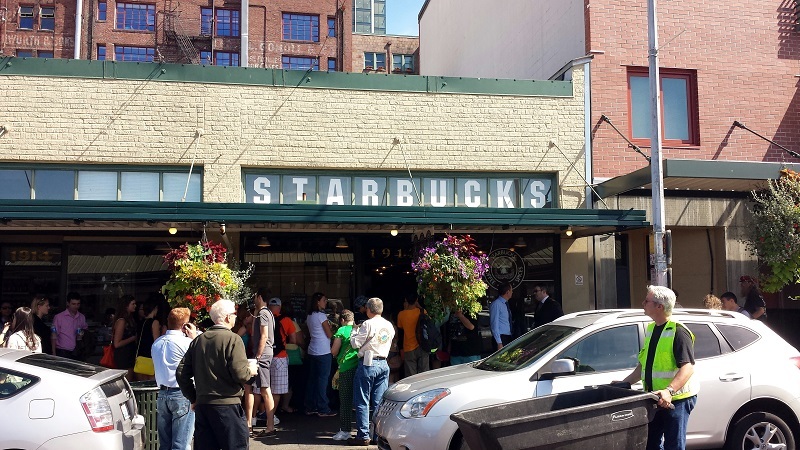 One of the shops is the original Starbucks. Of course I will notice anything coffee related. 🙂 It’s definitely worth a visit, but get there early. If you want to sit inside and/or get a caffeinated coffee beverage, be prepared to stand in line. 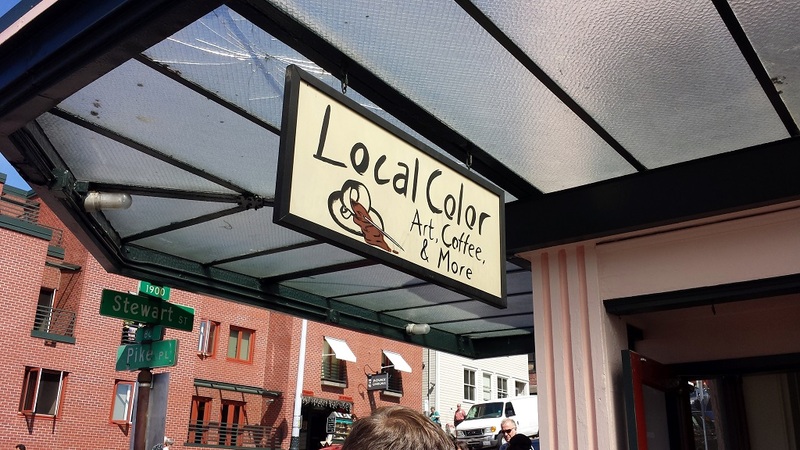 A good alternative is Local Color Art Coffee and More a few doors down. 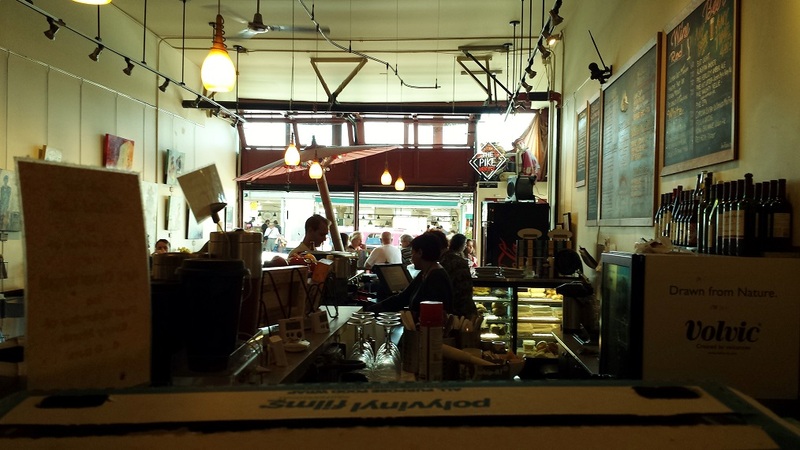 It’s part coffee shop, part gallery and a good place to people watch and hang out. There are unique vendors all-around selling something for everyone. 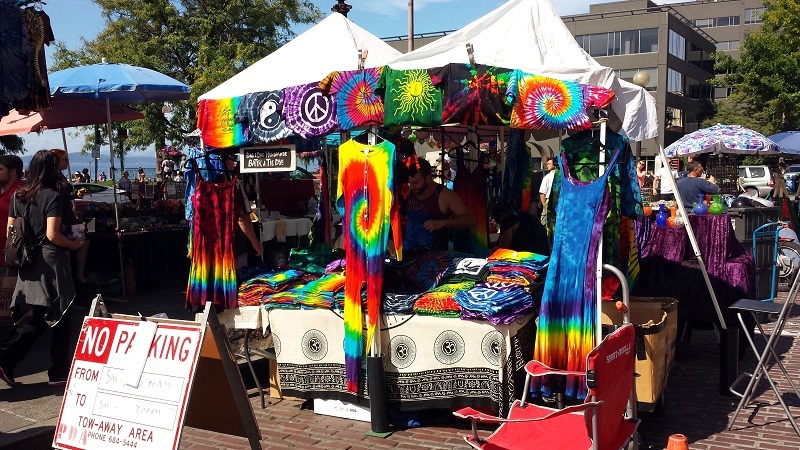 One that caught the eye was the tie-dyed t-shirts stand. 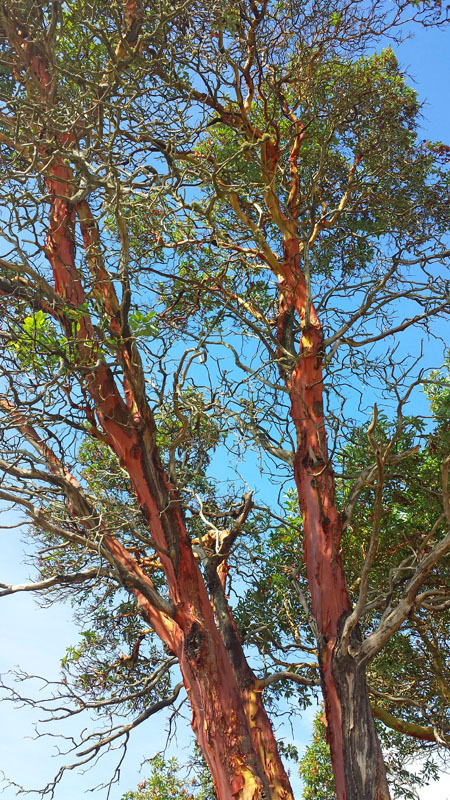 If you’re looking for a local souvenir to take home check out Mt St Helen’s Ash and get something made of the ash from the 1980 volcanic eruption. 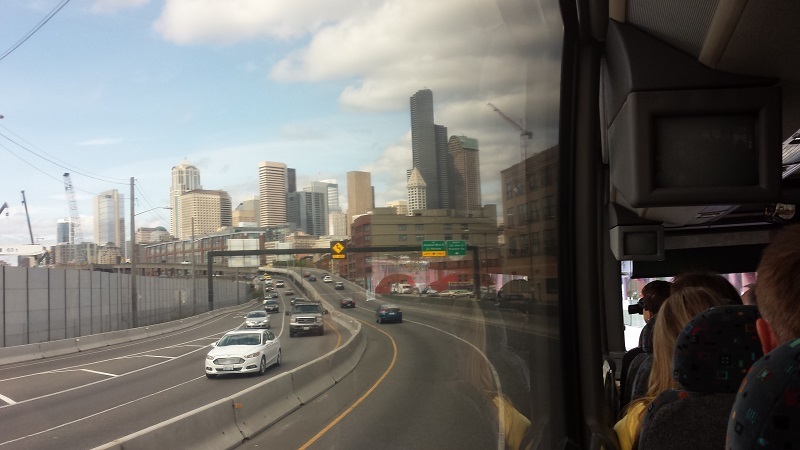 Tip: Hearing a lot from the locals while there, finding a parking spot is a major issue so pack patience or walk/take public transportation. 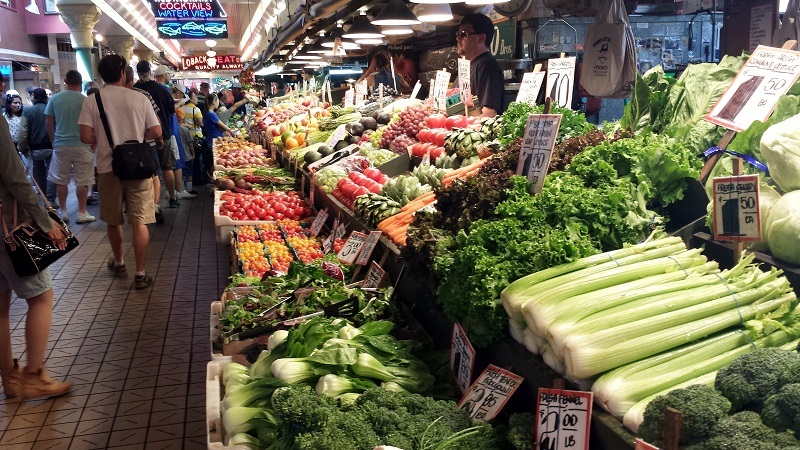 Whether its people watching, shopping, hanging out in the big city or enjoying coffee and some eats, Pike Place Market in Seattle is definitely worth the time. 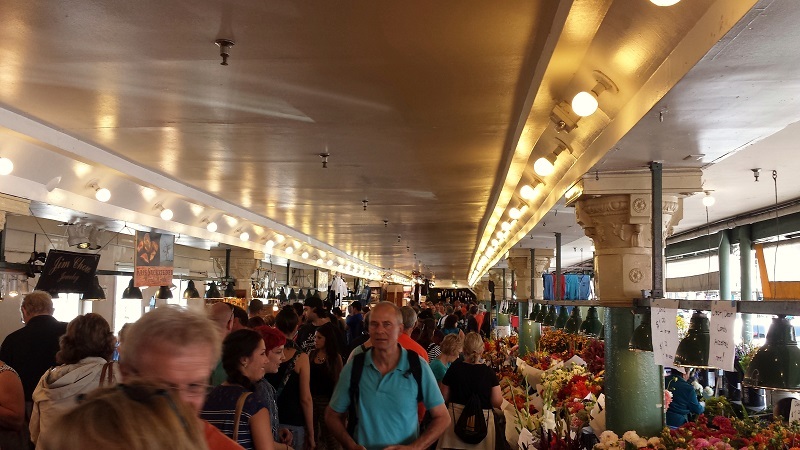 What other markets would you recommend that you have come across in your travels? 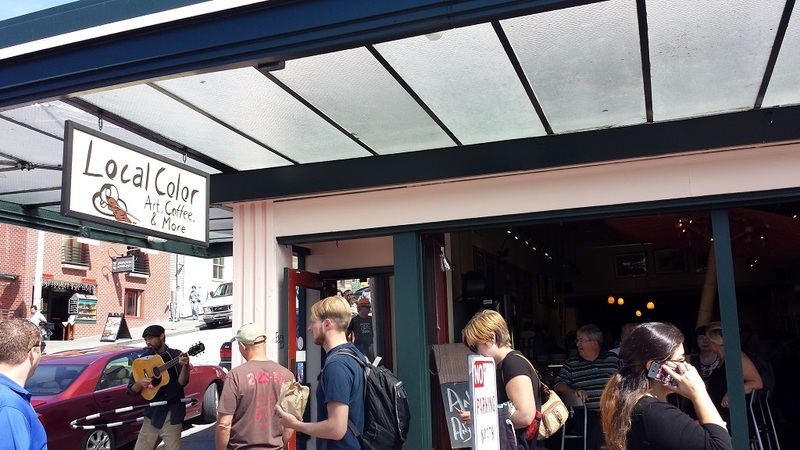 #ElCafeDe2013: The Local Color Art, Coffee & More of Seattle. 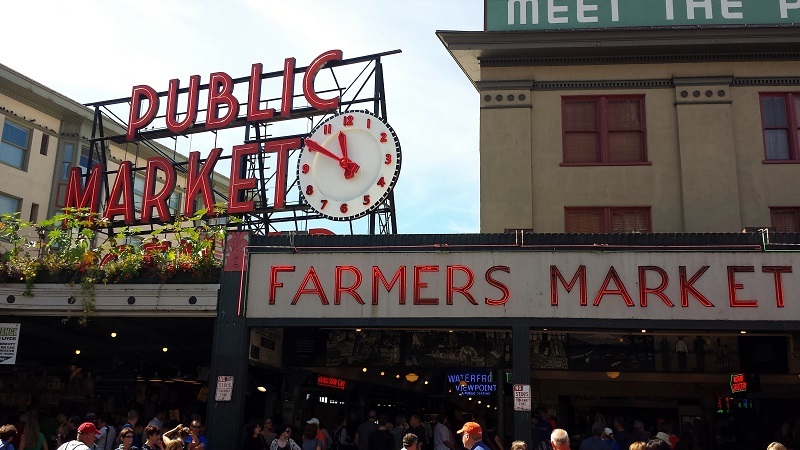 It was a late-summer afternoon in Seattle and we were hanging out in the foodie and market heaven that is Pike Place Market. 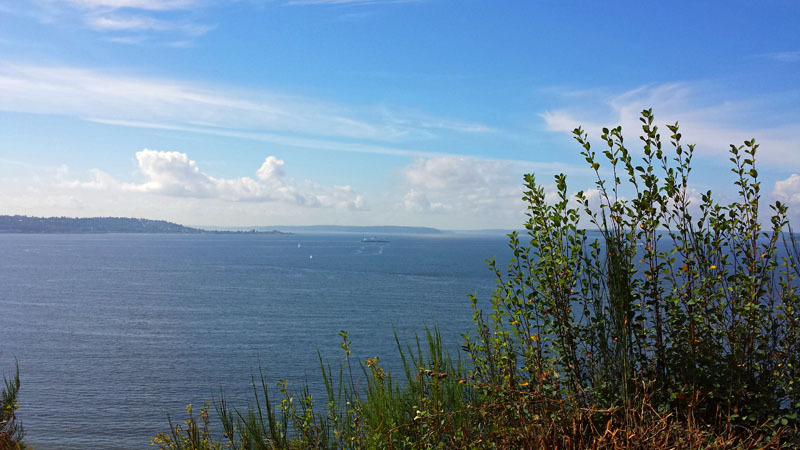 There was only a short time to explore and of course that included finding a local, non-chain, independent coffee spot. 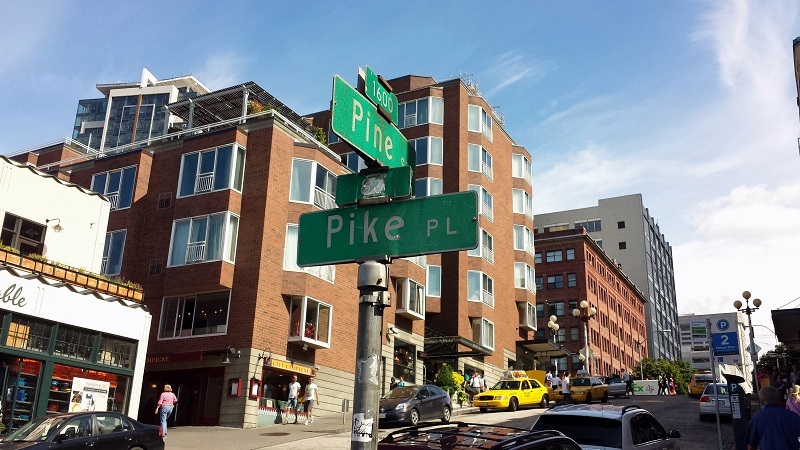 Right along the main stretch of the market at the corner of Pike and Stewart is Local Color Art, Coffee & More. Upon entering you’ll not just be in a cafe, but an art gallery as well. 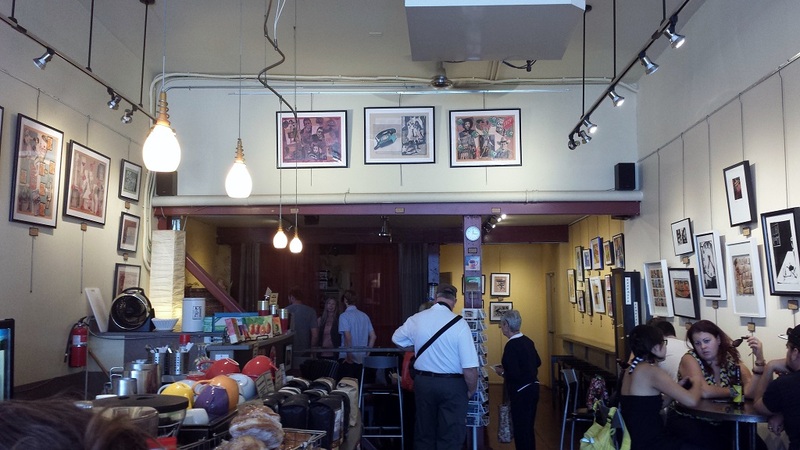 A variety of work from local artists hangs on the walls, with a full-time working studio within. Local Color immediately gave off a relaxing atmosphere with locals and tourists inter-mixed. 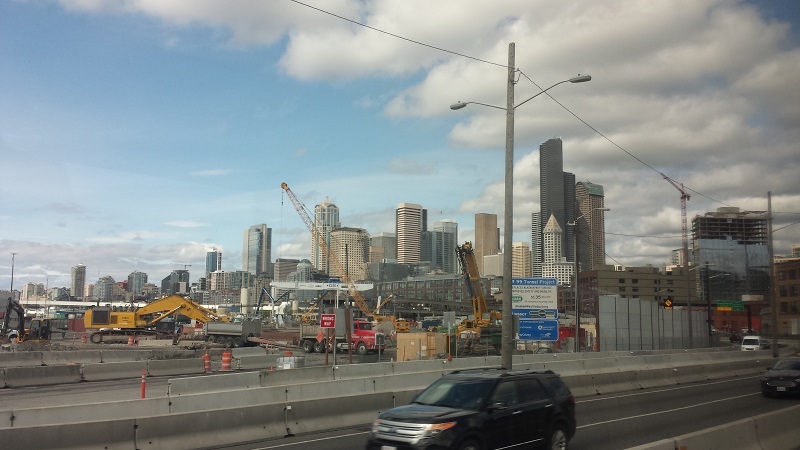 A nice change of pace from the crowded, crammed, touristy feel of the original Starbucks down the street. 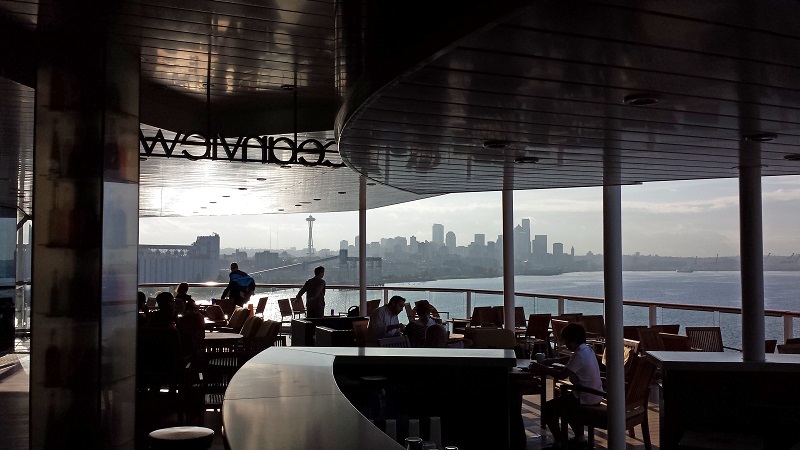 The cafe includes coffee from Seattle-based Caffé Vita and service from friendly baristas. 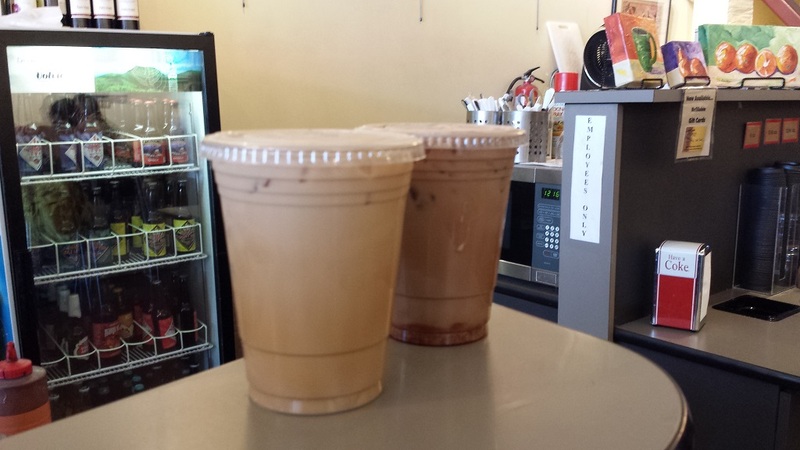 It was a warmer, sunny day so we went with an iced vanilla latte and mocha which hit the spot! 🙂 Desserts, pastries, beer, wine and music are also among their offerings. 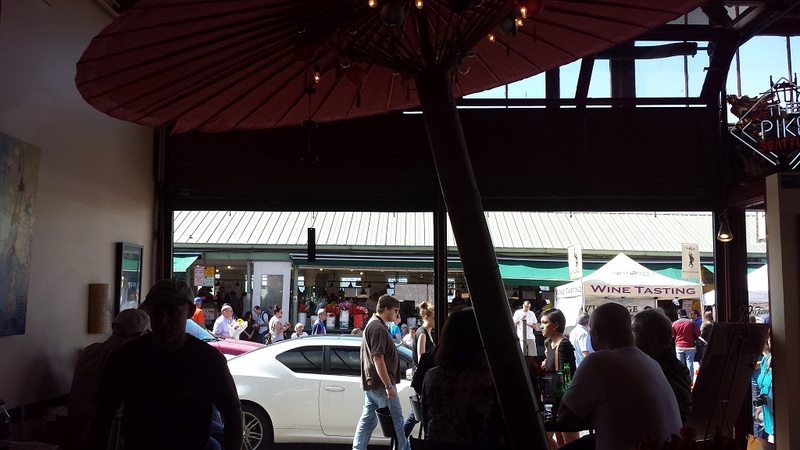 Depending on your seat it’s a great place to people watch, checking out the hustle-and-bustle of the market. 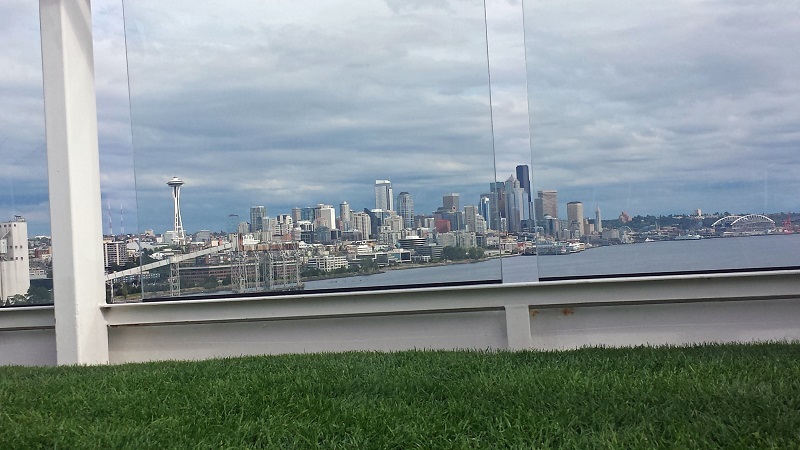 It was a short, but good time hanging out at Local Color Art, Coffee & More in Seattle. 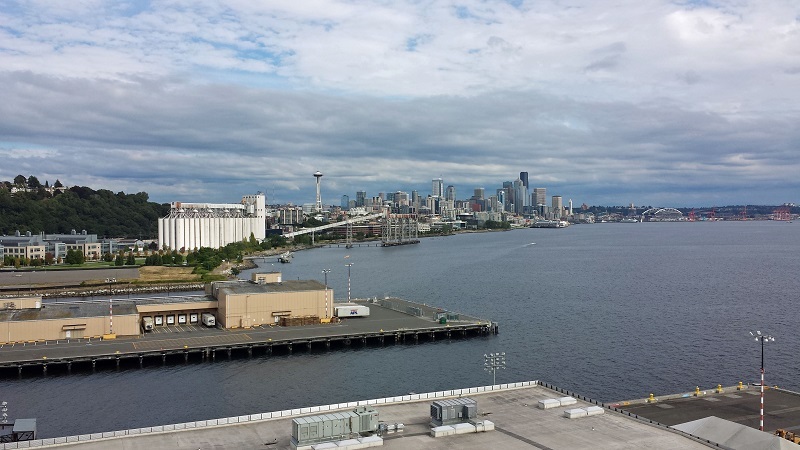 What a great way to dive into the well-known Seattle coffee culture. 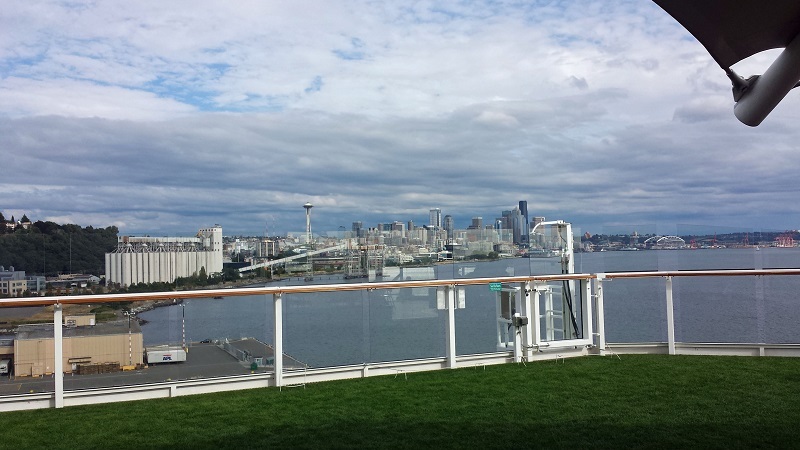 What non-chain, independent coffee shops would you recommend in Seattle?